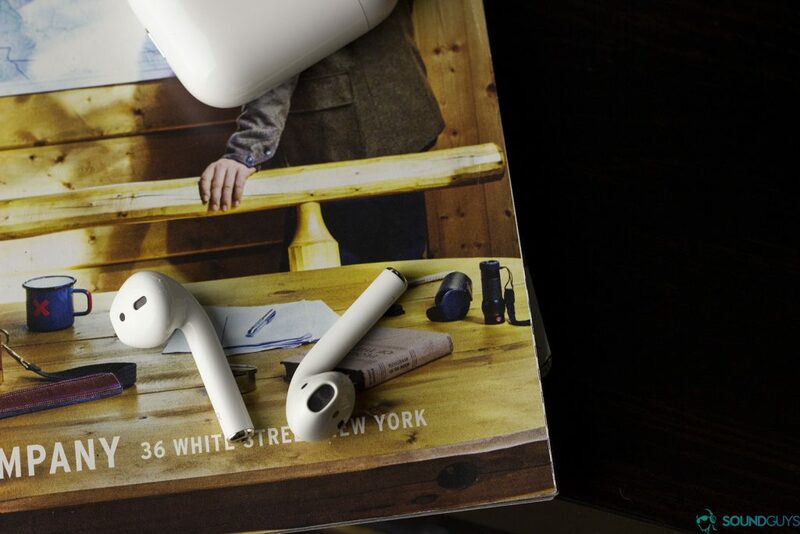 If you're an Android user concerned about audio quality, you'll pass on the Apple AirPods. AirPods are everywhere, but that doesn’t mean we Android users should opt for them; rather, AirPods should be avoided like the Bluetooth plague they are to Android systems. That’s right, while the AAC performs well enough on iPhones, it just doesn’t cut it for Android phones. Although the line between Android and iOS devices further blurs with each passing keynote, AAC streaming performance is drastically different between the two systems. Android phones don’t give you CD-quality playback with AAC. Android handles Bluetooth codecs differently depending on connection quality and Android’s Energy Aware Scheduling algorithms, which determines a CPU’s efficiency. By prioritizing Bluetooth encoding as a lower-ranked task, Android may be degrading streaming quality for the sake of energy efficiency. In a similar vein, AAC takes into account psychoacoustics and streams data accordingly—something that not even aptX does. While we could knee-deep into the nitty-gritty of psychoacoustics, in short, it’s the scientific understanding of how humans perceive sound, positing that we only have so much bandwidth to process simultaneous sounds. This eats up a lot more resources than other Bluetooth codecs, and it shows when you test. AAC requires plenty of processing power, and Android software isn't designed to handle Bluetooth encoding efficiently. Understanding the heavy processing capabilities required for AAC to function sheds light on why Android phones struggle. On the iPhone, however, listeners benefit from a much lower noise floor, one that extends -11dB beyond the Samsung Galaxy Note 8’s. This means that iPhones, at least the iPhone 7, is able to relay a much quieter sound when streaming via the AAC codec than what the best Android AAC performer has to offer. Due to the lack of developed nozzles, the AirPods are unable to form a perfect seal with the ear canal. Thus, they allow the ingress and egress of noise. As any SoundGuy will tell you, audio quality is well and good, but it’s nothing without one thing: isolation. While it’s understandable that Apple designed the AirPods to provide a decent fit to a majority of ears, I’d bet my bottom dollar that these ‘buds won’t seal with your ear canals. The negative effect of this is two-fold because 1) your music is going to leak, resulting in the accidental sharing of tunes with passersby; and 2) the AirPods allow for the ingress of external noise, which degrades sound quality—bass frequencies in particular. The latter makes increasing the volume much more tempting which could impair your hearing. While AAC may seem promising and impressive upon the realization that it accounts for psychoacoustics, it’s not as good as we’ve been told. Even if you’re using an iPhone, you’re still not hearing CD quality. Although you could fairly make the argument that your ears are unable to differentiate between the lossless and compressed data, no one likes being misled. If you do planning on using wireless headphones or earbuds with AAC support, you best be listening from an iPhone. Next up: Why is true wireless connectivity so bad?